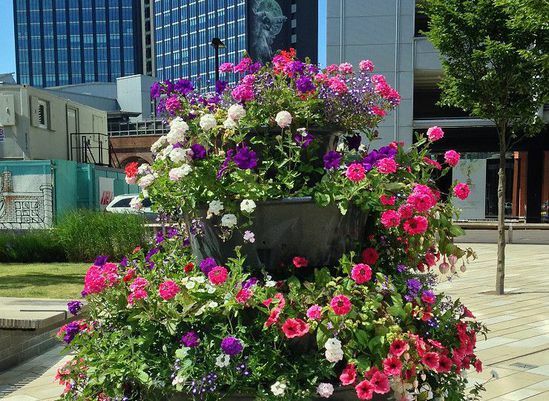 Amberol works with Britain in Bloom entrants across the country at both regional and national level and is always impressed by the dedication and talent of all those taking part. The greening and maintenance of public spaces is crucial to the local economy as well as people’s general wellbeing and community spirit. Amberol's self-watering planters are an important part of any strategy to combat drought conditions. 2018 saw around 25 recent Amberol customers making it all the way to the national Britain in Bloom final with many walking away with the coveted Gold – or even as category winners. Truro in Cornwall won the top award - Champion of Champions. Judges were impressed by the Cornish town’s pragmatic approach to dealing with potential summer heat and drought by planting drought-tolerant plants like cacti, palms and herbs. 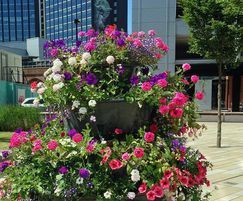 Volunteers also built a solar-powered rainwater harvesting system, which watered more than a thousand hanging baskets, floral features, urban tree plantings and a community orchard. Truro was also commended by judges as a great example of collaboration between volunteers and the council’s parks department as well as businesses, schools and community groups.